Looking for a great commercial construction and remodeling contractor in Central Michigan? Hubble Construction and Restoration is a full service design and construction contractor specializing in small scale commercial construction and utility construction projects. From remodeling your small offices to building out your expanding retail space or even constructing a new building for your operation. Hubble Construction and Restoration can help you plan, design and build your commercial or public space into exactly what you need it to be for your business to continue growing and serving the local community. If this is a brand new business or a new location that is yet to be established then it will be a relatively smooth process as we can work without inconveniencing you or your customers. However we know most of the businesses and facilities that we service have already been in business for a number of years, they already have regular customers and an established location. In this situation, dealing with a professional contractor like Hubble Construction is your preferred option. As a business owner you need rigid schedules, time frames, and special considerations for your project that only the pro’s can deliver. Hubble Construction and Restoration will bend over backwards to minimize the downtime and inconvenience with your commercial operation by accommodating your specific needs. These will be different for almost every business we work with and we’ll custom tailor or construction services to suit you for the duration of your project. This could include setting up temporary entrances/exits, temporary washroom facilities, kiosks and more. How your customers perceive your business is probably extremely important to you. It’s important to Hubble Construction and Restoration too. We’ll make every effort possible to transform your place of business or facility into something you, your employees and most importantly your customers will love. Why Choose Hubble For Your Commercial Construction Project? We are a locally owned and operated family-run business in Central Michigan. 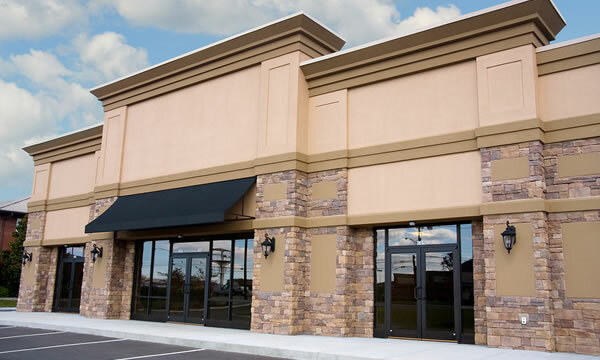 We’re large enough to handle most small commercial projects and we don’t have the same disconnects that you’ll experience working with some of the much larger commercial construction firms. You’ll see the difference!